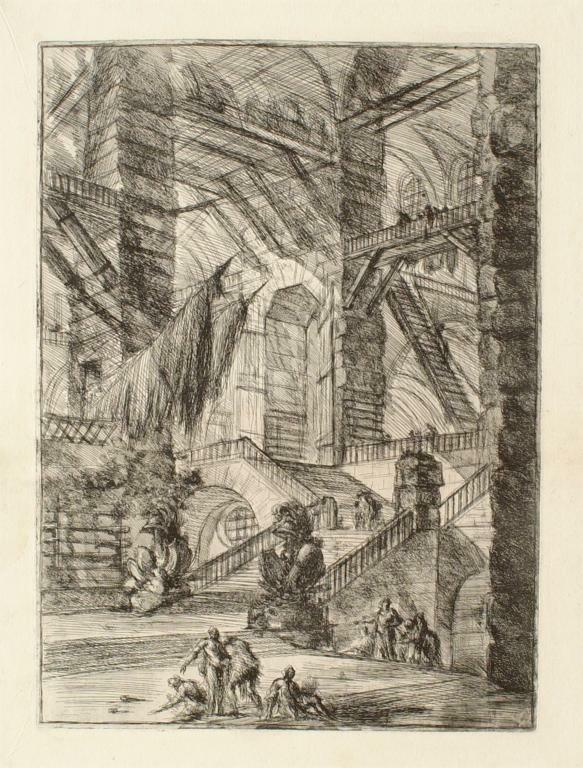 Giambattista Piranesi, A Vast Interior with Trophies. Etching, ca. 1744. Sterling and Francine Clark Art Institute, Williamstown, Mass. The following databases will help to find articles, dissertations, books, and other materials in art history and architecture as well as related disciplines such as history, philosophy, religion, and literature (for those working with book illustrations or needing information on literary, folk, biblical, or mythological characters). A good starting point for locating articles in fine arts journals, book reviews, and articles in museum bulletins for any period or genre of art, from classical antiquity to the present. Subjects such as archaeology, architectural history, museum studies, and the decorative arts are also included. Coverage: AIR covers 1929–1984; AA covers 1984 to the present with abstracts from 1994 on. Abstracts of journal articles, books, essays, exhibition catalogs, PhD dissertations, and exhibition reviews. Covers modern and contemporary arts from the late 19th century onwards. Includes traditional media such as illustration, painting, printmaking, sculpture, and drawing; also includes photography since its invention, performance art and installation works, video art, artists' books, and other areas of contemporary art. Coverage: 1960 to the present. Index to journals in archaeology, architecture, furniture, urban design, historic preservation, landscape architecture, and urban planning history. Coverage: 1930s to the present, with selective coverage back to the 1860s. Premier database for material on the study of Western art povides citations and abstracts for materials on [mostly] European and American art from late antiquity to the present. Materials indexed include art-related books, conference proceedings and dissertations, exhibition and dealers’ catalogs, and articles from more than 2,500 periodicals.It is currently available through the Getty's website. See International Bibliography of Art, below, the database that takes over and expands BHA to provide international coverage of art history from 2008 forward. Coverage: Database coverage begins in 1973 and ends with 2008 publications. Index to masters’ theses and PhD theses in all subject areas, granted by universities in North America, Canada, Britain, and Europe. Many dissertations added after 1997 are available as full-text. Indexes to scholarly articles, dissertations, and book reviews on history and culture, including much material in the field of art history. The two databases can be searched separately or together and are critically important resources for art historians, especially in the areas of art and social history. HA covers world history, excluding the United States and Canada, from 1450. AHL covers U.S. and Canadian history. Coverage for HA is from 1955 to the present. Coverage for AHL is from 1964 to the present. Indexes journals in the humanities, including archaeology, classical studies, folklore, history, journalism, literature, music, performing arts, philosophy and religion. A one-stop database for articles in several disciplines that relate to the study of art history. Coverage is from 1980 to the present. For earlier coverage, consult the print indexes at Sawyer: Humanities Index (1974– ), Social Sciences and Humanities Index (1966–1974), and International Index (1907–1965). International Bibliography of Art, successor to Bibliography of the History of Art (above), provides authoritative coverage of international art historical scholarship including European art from late antiquity to the present, American art from the colonial era to the present, and global art since 1945. Indexes 500+ core journals; includes detailed coverage of monographs, essay collections, conference proceedings and exhibition catalogues. Coverage: 2008 to the present. Full-text searchable database of core journals in all disciplines, especially math, general science, social sciences, history, art, religion, language, and philosophy. Historical collection covers from the inception of each title to 2-5 years ago (depending on contractual agreements with vendors). Rich source of information on art in all related disciplines, including art history, history, literature, religion, and philosophy. Coverage for each title is from its inception to 2-5 years before the current year, depending on the agreement with the publisher. Index to journals, monographs, working papers, proceedings, and other formats in the fields of languages, literature, linguistics, and folklore. Also an important source for material on film, photography, and theater. Coverage is from 1963 to the present. Indexing and abstracts from books and journals of philosophy and related fields, covering the areas of ethics, aesthetics, social philosophy, political philosophy, epistemology, and metaphysic logic as well as material on the philosophy of law, religion, science, history, education, and language. An important source of material on semiotics, structuralism, and post-structuralism. Coverage is from 1940 to the present. Index to scholarly materials in religion and theology. Indexes journals, multi-author works, and book reviews. Covers such topics as Biblical studies, world religions, church history and religious perspectives on social issues. Coverage is from 1949 to the present.